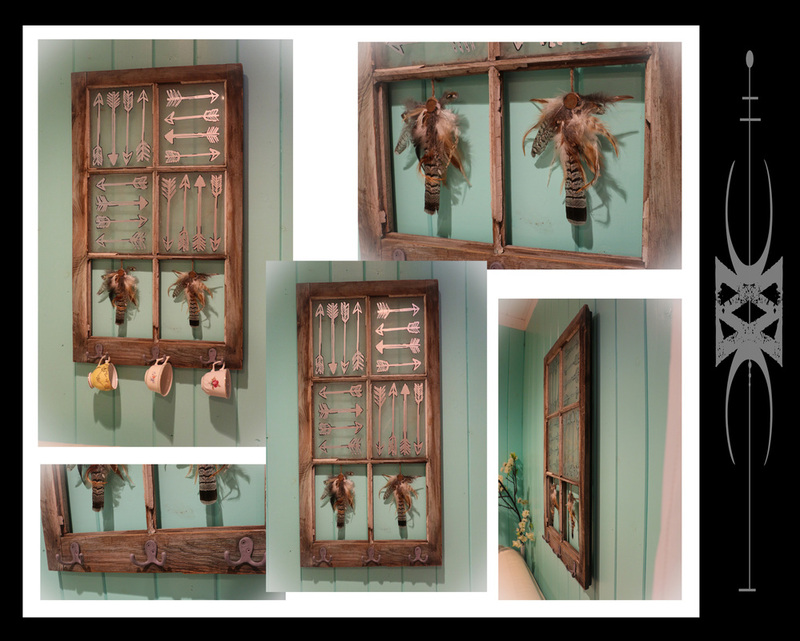 'Grounding' consists of a original barnwood frame. The backing to the piece is also stained wood. The piece houses two hand dipped deer antler in cooper acrylic paint, a genuine skunk skull, copper wire, genuine mahogany obsidian specimen and 6 authentic vintage coins (Canadian Penny, German Euro, Turkish Kurus, Danish Ore, Francaise Franc & a 1913 Canadian 5 cent piece) More photos in the gallery. 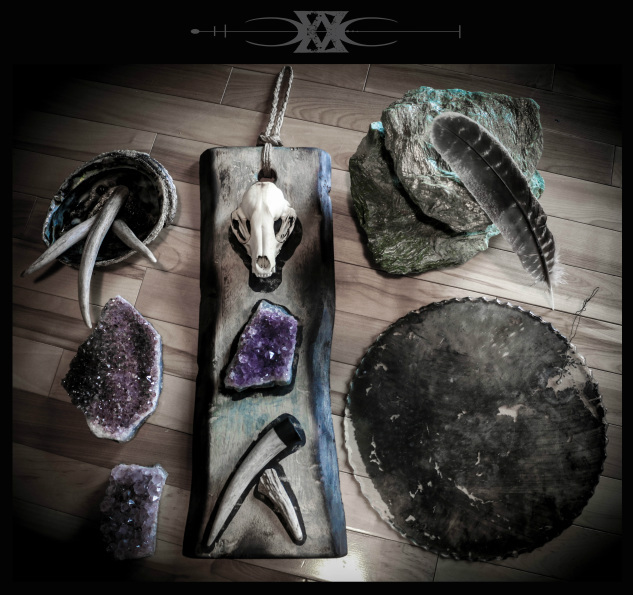 This wooden plank is embellished with a real raccoon skull, a genuine amethyst cluster, deer antlers & acrylic paint. It hangs beautifully in a tight hard to decorate spot. The sun glistens & dances off the amethyst; the energy it gives off is stunning! Amethyst clusters, that receive sun most of the day are very beneficial to use in healing and to heal negativity in the home, everyone will be feeling calmer. Using an Amethyst as a meditation tool, focus will increase and so will the positive spiritual feelings. Amethyst helps overcome fears and cravings. It also helps relieve headaches. 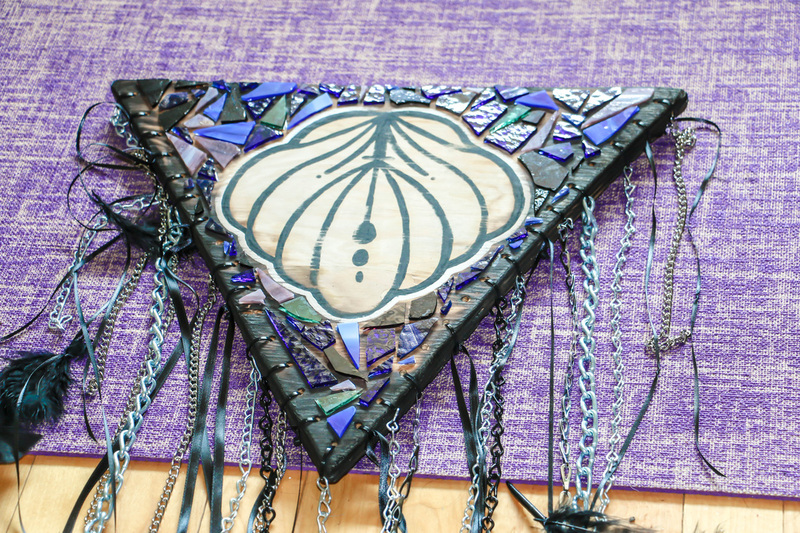 This stunning wall hanging is made from a hand cut piece of wood, which was hand distressed and painted. 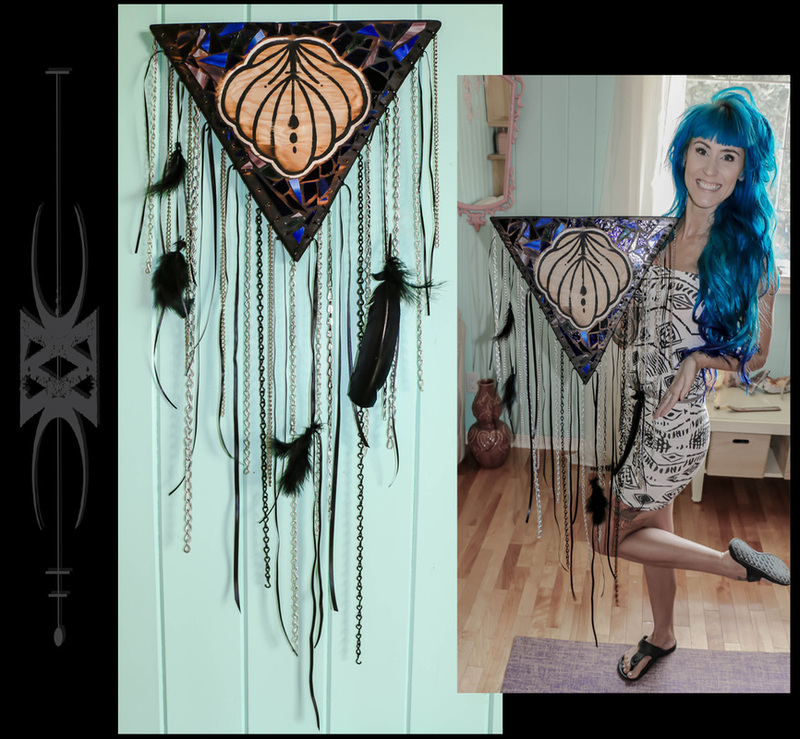 Embellished with a real raccoon skull, metal chains, wild turkey hand dyed feathers, and the alchemy symbol for 'amalgamate'. *Due to the delicate nature of this painting and the 3D details it is only available with local pick up. Delivery outside of Prince Albert is available as well, please contact Chantella for delivery charge. Great Goddess of Crete, the first divine personage of Greek mythology to be immediately recognized in Crete once archaeology had begun. Her name is merely an epithet and claims that she was originally the "Mistress of the Labyrinth", both a winding dance-ground and in the Greek view a prison with the dreaded Minotaur at its center. 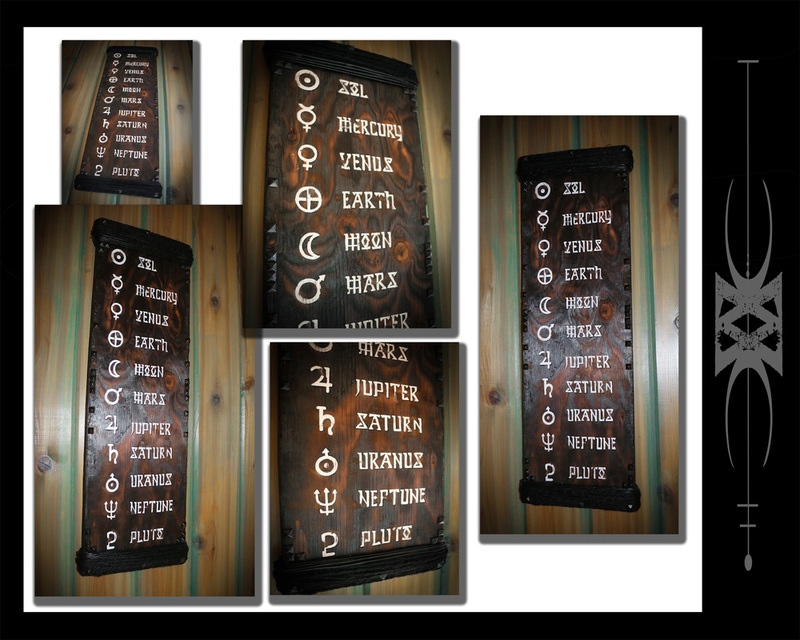 Looking for a specific message or meaning to hang in your home? Or a super special gift to gift to a loved one? Chantella can create a custom cosmic creation just for that need! 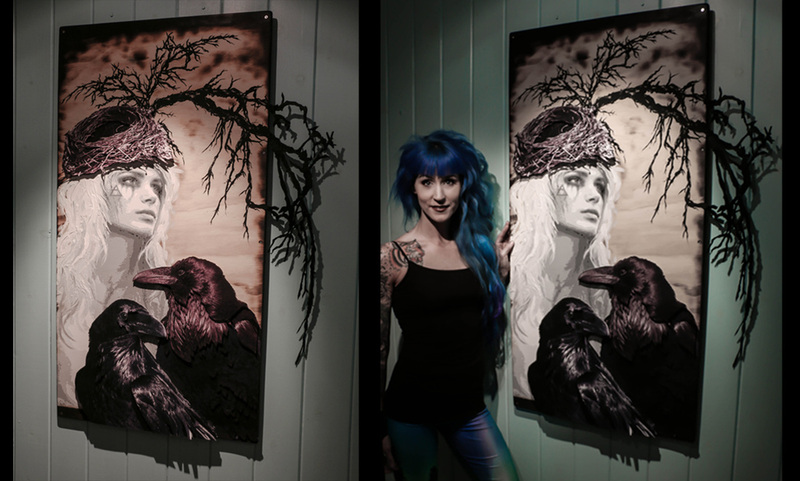 Pictured on the left is her 'Grounding' original creation. 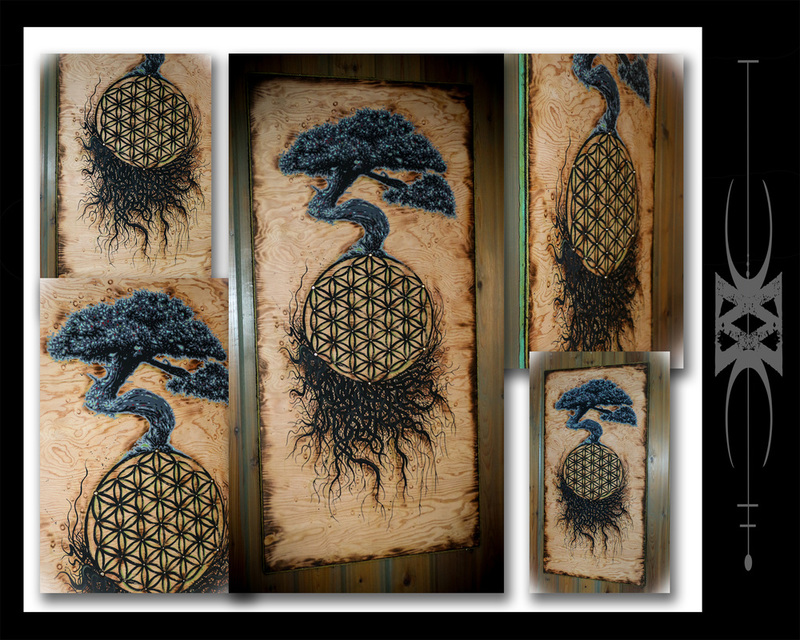 One original barn-wood frame remains and that is what she'll create your piece within. Choose to base it off of a color, birthstone, astrological sign, chakra, planetary body/moon/star, element, etc. Totally up to you. One genuine skunk or muskrat skull remains as well so she will incorporate that into your piece.